We were inspired by the story of a man named Antoine Hunter, a deaf dancer who teaches dance classes to people who are deaf themselves. He experiences music through vibrations, placing large speakers next to him as he passionately expresses himself. As four music aficionados, our team was inspired by the way Antoine and his students chase what has conventionally been impossible for them to enjoy. 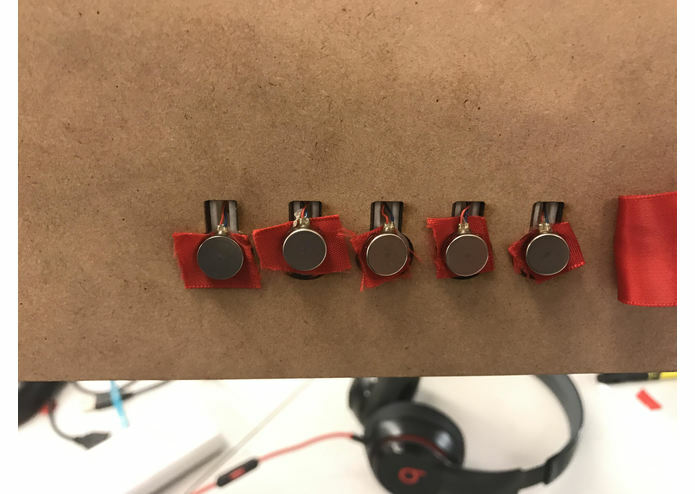 defBeats is a rasberry pi circuited interface that converts audio into an LED equalizer and synchronized vibration motors to redefine the way that deaf people can experience music. Users can literally feel and see the music they listen to. We believe this will allow deaf users to dance to and enjoy music anywhere, anytime. For example in breakdancing, down beats make up almost the entirety of a bboy's sets. This means that for a deaf person who might have felt ostracized from such activities due to their inability to detect such critical components of the form of dance will now be able to fully enjoy such activities. 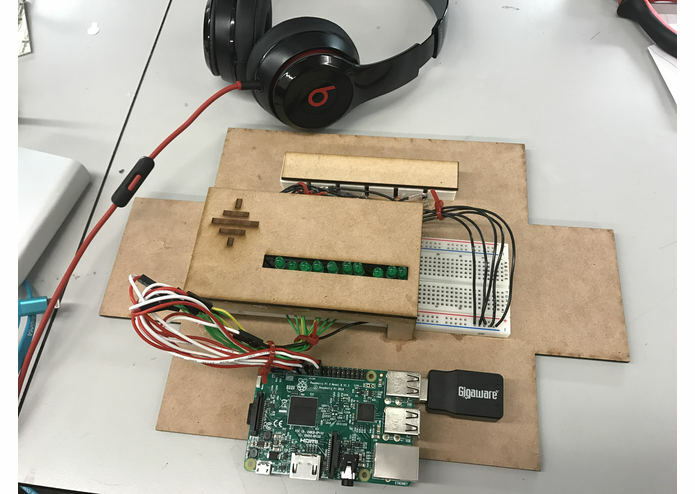 defBeats is a combination of audio analysis from a microphone input and runs on a python script on a rasbperry pi which acts as a microcontroller for the LED equalizer and vibration motors. Additionally, there is a companion web application using flask, python, html, and css with a database of songs that would work well with defBeats. We walked 30 minutes each way to Radioshack in the cold to buy a usb to 3.5 mm audio adapter because we did not know (since this is our first time working with this device) that the rasbperry pi does not have an audio-input interface. We also had some more complex circuit logic set up to give defBeats further functions, however, we did not realize that the rasbperry pi has a 3.3 V output cap on all of its GPIO pins. Looking at the technical documentation for the logic gates, such as N74LS08 AND gate, we were surprised to learn that there is a minimum of 4.75 V input for the gates to work. Therefor we had to redesign our circuit despite our limited knowledge on digital circuitry to fit our needs. Over the course of Saturday, although initially panicking at the multiple road blocks such as the logic gates not working and the audio input situation, we were able to quickly come together as a team to resolve our situations quickly. 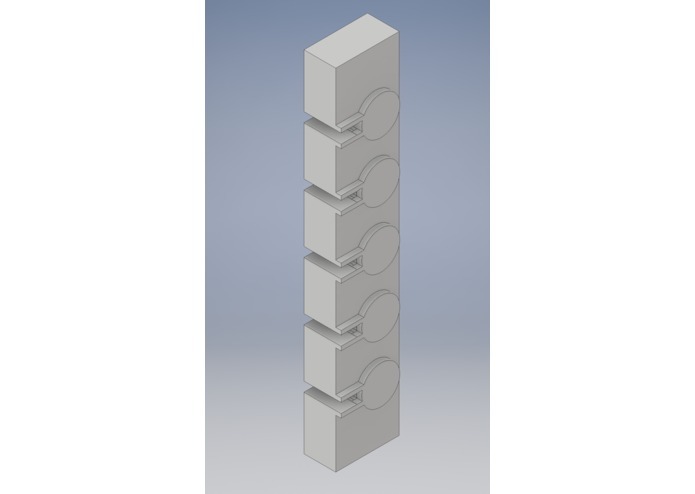 We worked together and split the work evenly so that we could each tackle a small component of our problems and were eventually able to bring a wonderful piece of hardware into the world. We learned how to combine hardware and software along with the nuances of the rasbperry pi. 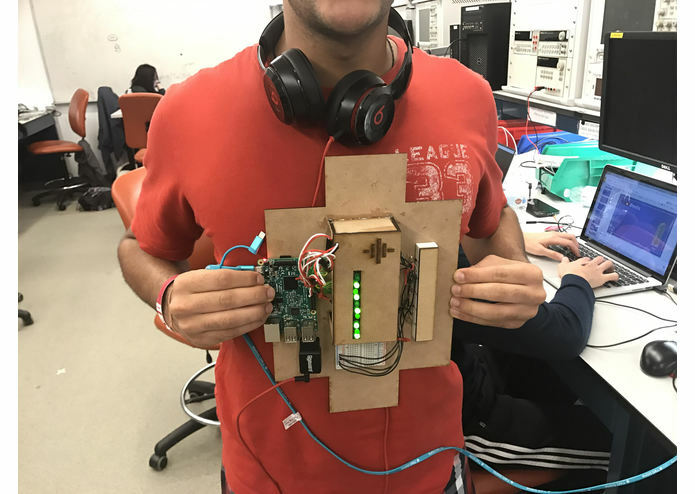 As this is our first time doing a hardware project as freshmen with limited experience in a multitude of the subjects we were dabbling in, we learned the importance of tackling large steps in a project in smaller, modular components. We are a team that is passionate for entrepreneurship as well as civic leadership, we are very excited at the thought of bringing defBeats into the homes of those who need it most. I worked on the FFT audio analysis in Python, vibration motor and LED control, set up the Raspberry Pi, and integrated the ACRCloud Music Recognition API. I worked on the front-end website, audio equalizer algorithm and implementation, and Raspberry Pi audio-input configuration. 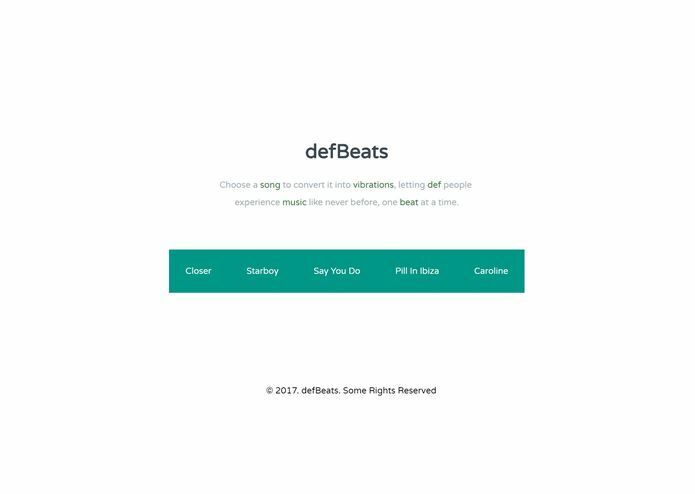 I worked on creating the backend for the website for defBeats, as well as creating the scripts to automate song population to the website. I thought of the idea and worked on all the hardware associated with defBeats which includes working with the rasbperry pi, 3D modeling, laser cutting, general concept design, and circuitry.